Usually, Sentimental analysis is used to determine the hidden meaning and hidden expressions present in the data format that they are positive, negative or neutral. While text analytics is generally used to analyze unstructured text data to extract associated information with it and try to convert that unstructured text data into some useful meaningful data for business intelligence. Hence, when we apply sentimental analysis for text analytics then, the hidden meaning and expression of text data are taken out in positive, negative or neutral form and later it gets properly converted into meaningful structured text data format. 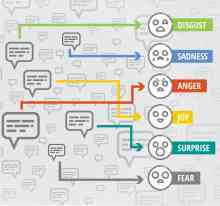 In sentiment analysis for text analytics process, we not only get meaningful data from row unstructured data but also here we obtain the emotions behind it. 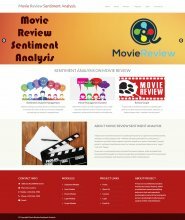 By adapting sentimental analysis over text analytics on text database, we can find out what are the trending topics now days and also we can find out its positive and negative impacts on the public. For example, if you are running a restaurant and suddenly there is “spoiled” word gets reflected inside customer’s feedback reviews, through sentimental analysis of this text analytics data; you can directly identify the particular negative emotions of your customer which might affect your sales too. 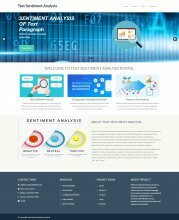 So, in this way, we can get directly emotional analysis of text analytics data that may helpful for us to obtain exact brand situation in the market and what people think about our product and services. Sometimes, some e-commerce companies have adapted the sentimental analysis of text analytics of their database product reviews and ratings. If in case there are some products which are getting simultaneously negative feedbacks then, such product are identifies through this process and later they are removed from portal or according to negative feedbacks it will be send to modification purpose. Sometimes, some competitors have generated fake reviews on website to reduce product and website branding .Such fake reviews are also identified and manipulated by this methodology. 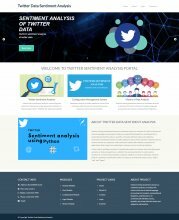 By using sentiment analysis for text analytics ,we can do competitors analysis for particular product or service like that if for particular product people are preferring competitor website for buying and why not ours? Such analytics can also be obtained from this method. This process have generated real-time reports about product selling and buying which is very helpful for taking cost related decision to higher management people as lot of customers in the market are very cost sensitive. Day by day, social media micro-blogs becomes the best platform for the user to express their views and opinions in-front of the people about different types of product, services, people, etc. These social media micro-blogs like twitter becomes the biggest source of information and knowledge. 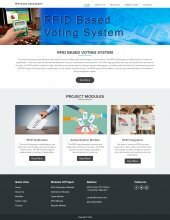 Now days, lot of manufactures take a poll of public on micro-blogs about their new upcoming product to judge and to analyze their reactions for knowing the sense of their sentiments about those products. 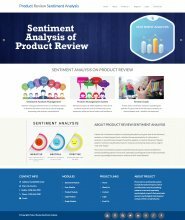 In this article, we have discussed sentimental analysis system where we have analyzed product comment’s hidden sentiments to improve the product ratings. This system module has adapted sentimental analysis methodology to obtain desired functionality. 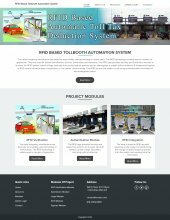 This system is an e-commerce based web application, in which the person who is registered in the system, will analyze the product and its features and will represent comments about that product. This system is used to analyze the database comments given by various users so that it will increase the rank of product.